Do you want to transfer heavy-duty goods from a place to another one on time? Or do you want to make sure that the goods reach its destination in an intact condition without any damage? Then, you have to buy a heavy-duty trailer. Designed to transfer goods efficiently and safely, it is the ultimate choice for the businesses that are involved in heavy-goods transfer jobs. There are several reputable companies that offer heavy duty trailers for sale. Based on your needs, and budget, you can pick the right trailer for you. However, only buying a trailer from a reputed company is not enough, especially if you want to enjoy its service for years. Wondering what to do? Taking care of your trailer and avoiding some mistakes can help you in the long run. To help you, here we have put together a few mistakes that can ruin your trailer. Take a look. Overloading your trailer can ruin it very quickly. Each trailer has a weight capacity, and often people overlook when loading weight. Moreover, a tow vehicle also has a load that you have to take into consideration. Exceeding the weight limit of your vehicle can result in dangerous consequences including busted suspensions, tire blowouts, transmission and brake failures, and many more. Always check the load capacity of the trailer, and based on that decide how much weight to carry. Rusty trailer wheel bearings are a great deal. And if you fail when you are on, it will be a bad experience for all. The wheel bearings need to stay lubricated to work properly when bearing the weight of the trailer. Over time, the grease breaks down, especially if water works its way inside the bearings. And so, repacking the bearings with grease on a regular basis is important. It is better to do so every year or after every 10,000 miles. Loading unevenly is as bad as overloading. Most of the people don’t know how to load weight in a trailer, and thus, end up to load unevenly. Professionals always recommend to load your cargo evenly throughout your trailer with about 60 percent of the weight in front of the axle. Weight in the front keep pressure on the hitch, and thus, helps the tow vehicle and trailer to stay connected and maneuvering smoothly. So, if you put a bunch of heavy stuff in the back, it will cause rough and dangerous towing, and thus, harm your trailer. Therefore, you should be careful while loading weight. Driving recklessly is a big no if you want to use your trailer for several years without any damage. And as you are carrying a huge load in the trailer, you have to very careful while driving it. Maneuvers including stopping, merging, turning, and backing up needs to be practiced before hitting the road. Driving recklessly not only harms your trailer but also you too. Moreover, there is a possibility that it can cause harm to other vehicle or drivers on the road. So, be careful when driving your trailer. 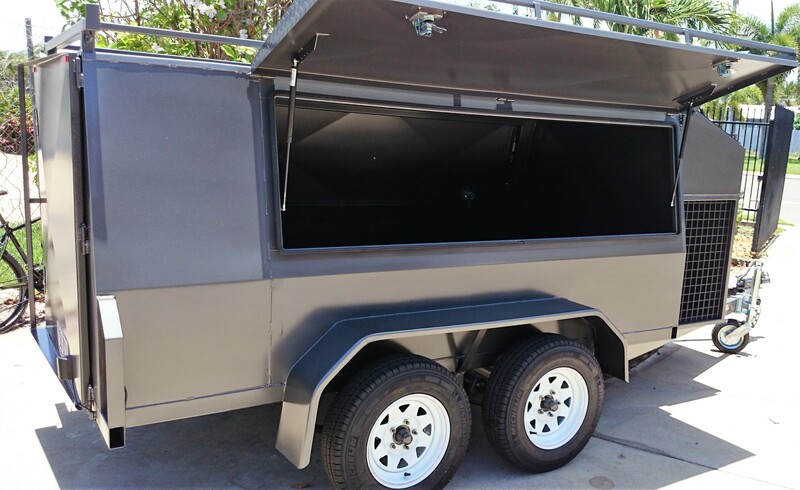 Irrespective of whether you are using a tradesman trailer or one of the custom trailers Melbourne, be careful, and avoid these trailering mistakes. Author Bio: Alfred Daiches, a popular blogger on heavy duty trailers for sale, here writes on the mistakes that can ruin your custom trailers Melbourne.